Rimes Voice. Concept of interface. How d you like it? Rimes Voice. Concept of interface. 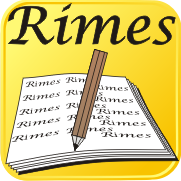 Today is published a humble update of two applications: Rimes Online and Rimes Multi. Fixed a lot of errors. Optimized instruction for browsing on a mobile phone. Сегодня выложено скромное обновление двух приложений: Rimes Online и Rimes Multi. Оптимизирована инструкция для просмотра в мобильном телефоне. Check it out. 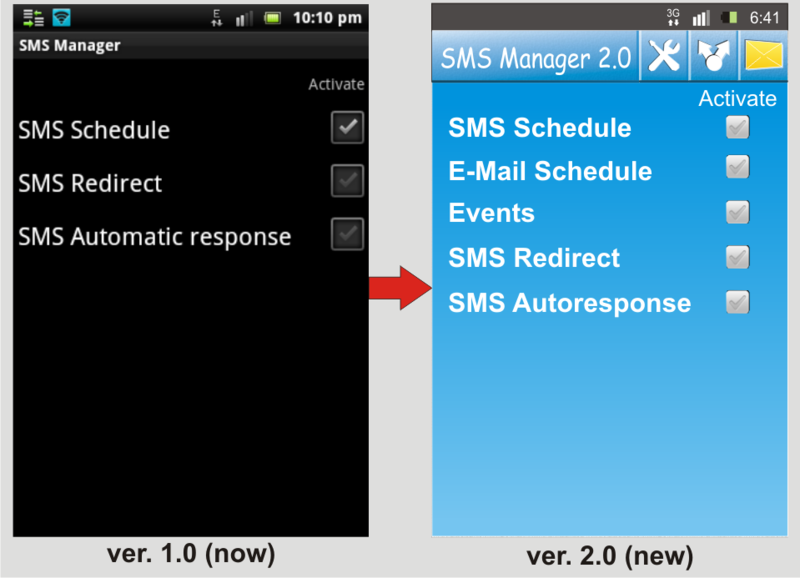 Nice 3D widget for SMS Manager 2.0. Coming very soon. "This is not speedcam! This is #ullshit!" Dear adequate fellow. Thank you so much for letting us know. So... what do you think, shall we confess on it on the national television? Dear visitors and users. The future of this app depends on you/ Уважаемые пользователи. Судьба этого приложения зависит от вас. Dear readers and our blog visitors and users of our applications. Within Sunday, March 17, we have to make a decision. 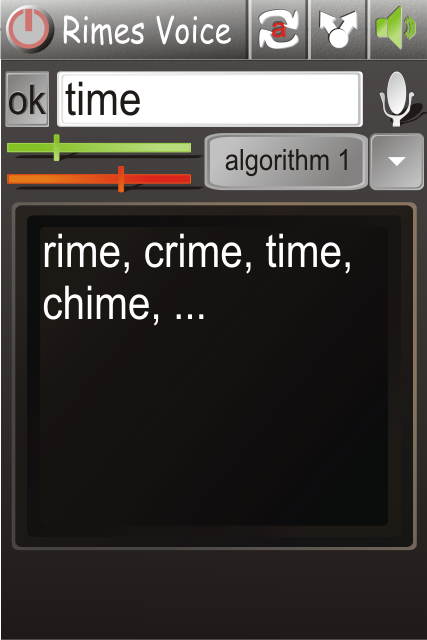 Whether to create a version of the application "Rimes" with voice activation (details here: http://globalappsr.blogspot.com/2013/03/your-phone-can-itself-tell-you-rhyming.html). If at least 10 people, write us today at mail@androids.ru, that they are interested in such an application, we will begin to develop it on Monday. If no one writes us, we leave aside the project for the time being. Thank you. Уважаемые читатели и посетители блога и пользователи наших приложений. В пределах воскресенья, 17 марта, нам надо принять решение. Создавать ли версию приложения "Рифмы" с голосовой активацией (детали здесь: http://globalappsr.blogspot.com/2013/03/your-phone-can-itself-tell-you-rhyming.html). Если хотя бы 10 человек, напишут нам сегодня на mail@androids.ru , что они заинтересованы в таком приложении, с понедельника мы начнем его разработку. Если нам никто не напишет, мы пока отложим этот проект. Спасибо. 1st screenshot of the app Flights above the Earth. Push the Start, & fly anywhere via gyroscope. Release in May-June. With mega pleasure presenting the first screenshot of our most beautiful (as for today) app for iOS, Sleeping Pills. What had the Chinese thought up 5,000 years ago? 1. Fixed a bug with the scale of the microphone (which sometimes could not be activated). 2. Fixed bug with manual lock the phone. 1. Исправлена ошибка со шкалой микрофона (которая иногда не могла активироваться). 2. Исправлена ошибка, возникавшая при ручной блокировке телефона. How do you like that. If our application which generates rhymes to hear your voice? You write a poem in silence. The phone is nearby. 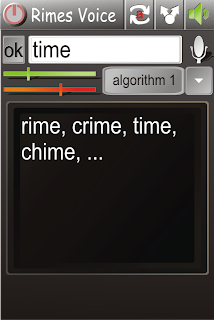 When you need to find a rhyme to the word, you just say the word (not touching the phone) and the phone finds the rhyme itself and tells you aloud all the list of rhyming words? 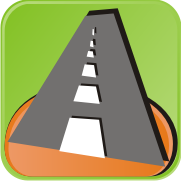 We are thinking hard to create such a version of the application: Rimes Auto. Как вам такое. Если бы наше приложение для генерации рифм слышало ваш голос? Вы в тишине пишите стихотворение. Телефон лежит рядом. Вдруг вам понадобилось подобрать рифму к слову. Вы просто произносите слово (не дотрагиваясь до телефона), а телефон подбирает рифму и САМ перечисляет ВСЛУХ вам все варианты рифмующихся слов? Мы подумываем над тем, чтобы создать такую версию приложения: Rimes Auto. 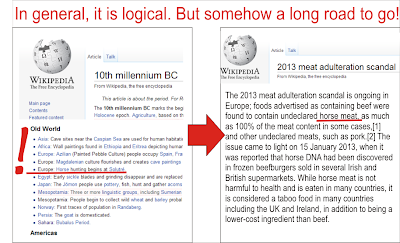 Horse Scandal. 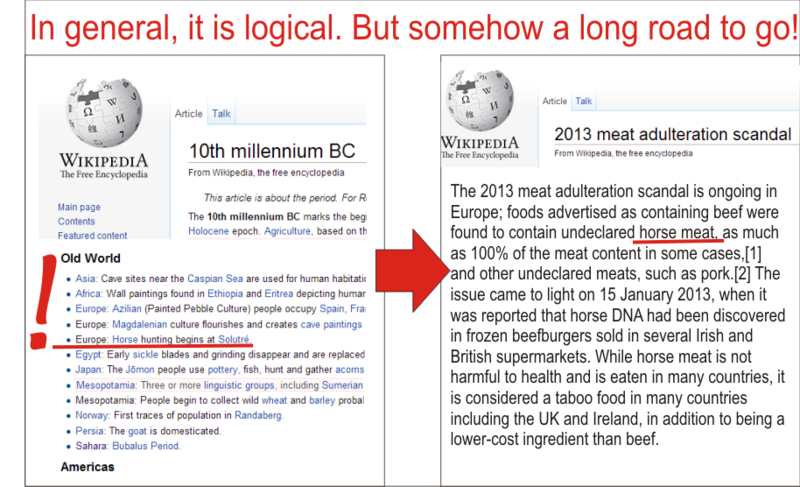 In general, it is logical. But somehow a long road to go! 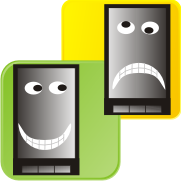 We are preparing for release two new free applications. 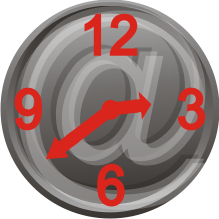 Create schedule for sending email messages. 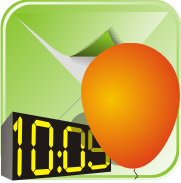 Create a convenient schedule for sending SMS for your events or holidays. Recall about weekly meeting. Congratulations to the annual celebration. And so on. Готовятся к публикации два новых бесплатных приложения. Создавайте расписание по отправке email сообщений. Создавайте удобное расписание для SMS рассылки для ваших событий или праздников. Напомнить о еженедельной встрече. Поздравить с ежегодным праздником. И так далее. 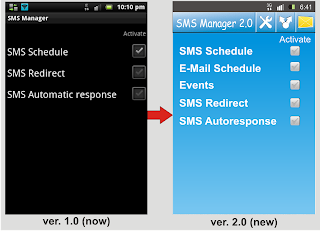 SMS Manager 2.0. All the features. Coming in two-three weeks. 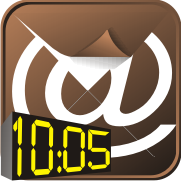 - Email Scheduler. Send scheduled messages directly to email addresses of friends over the Internet. The choice of frequency and number of repetitions. - Selecting the background of the program: blue, black, white. - Select the font color: white, black. - Protection Program by PIN code. 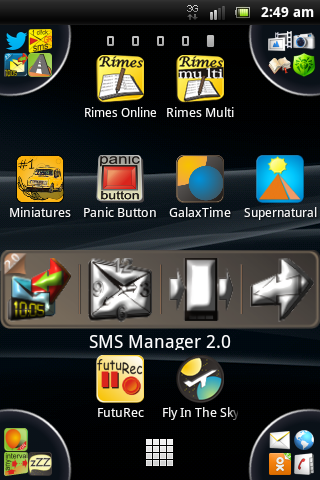 - Hide SMS from official SMS client. - Notification of sending or not sending by sound or/and in the notification bar. Three sounds to choose from. - Create an auto-sign of sender. - Select the time format: 12 am / pm or 24 hours. - Reminder of the planned shipment: any number of days. Reminder pops up in the notification bar. - In the list of messages is given the first line of the message. 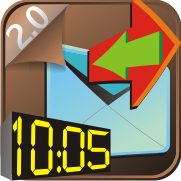 - Old messages in Email Scheduler are placed in special folder, named "History". - Choose addressee from contacts or groups. - Widget to quickly enable options can be placed on the desktop. - Select the frequency of repetitions of messages. - Select the number of repetitions. - The SMS answering machine has 5 fields for answers to choose from. Choice: to respond to SMS, calls or sms and phone calls. - The SMS forwarding: choice to forward all messages or the first part. 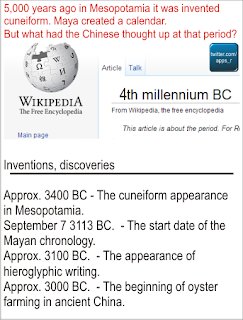 The current version, you can download by clicking on this text. What about the sim cards. We wrote to Google. We were told that it is not currently possible to choose the sim in Android for third part developers. Manufacturers of devices with two sims are creating their special versions of Android. So to create a program that works with a selection of these things, not officially, is not possible. — Email планировщик. Отправляйте запланированные сообщения прямо на электронный адрес друзей через интернет. Выбор частоты и количества повторений. — Выбор фона программы: синий, черный, белый. — Выбор цвета шрифта: белый, черный. — Сокрытие SMS из истории SMS. — Оповещение об отправке или неотправке звуком или уведомлением в панели уведомлений. Три звука на выбор. — Выбор формата времени: 12 am/pm или 24 часа. — Напоминание о планируемой отправке: за любое количество дней. Напоминание всплывает в панели уведомлений. — В списке сообщений на отправку — дана первая строчка сообщения. — В Email планировщике есть история отправок отдельной папкой. — Выбор адресата из контактов или групп. — Виджет для быстрого включения опций — на рабочем столе. — Выбор частоты повторений отправки сообщений. — В SMS автоответчике — 5 полей для ответов на выбор. Выбор: отвечать на SMS на звонки или на SMS и звонки. — В SMS переадресации выбор: переадресовывать все сообщение или первую часть. Нынешнюю версию вы можете скачать, кликнув на этот текст. Насчет сим карт. Мы писали в Гугл. Нам ответили, что в Андроид в данный момент невозможно выбирать сим-карту сторонним разработчикам. Производители двухсимочных аппаратов пишут специальную версию Андроид для работы с двумя сим-картами. Так что создать программу, работающую с выбором сим, официально невозможно. Talk2phone. It's not like Siri. Imagine. You sit at a table with friends. Brisk conversation. And your phones (all of you) from time to time put in its two cents into the conversation. Moreover, the phrases, coming out of phones, are very meaningful! Already curious? Imagine, the round eyes that are staring at you around, if you're, say, in the cafe! FURTHERMORE, YOUR PHONES MAY BEGIN TO COMMUNICATE WITH EACH OTHER! WITHOUT ANY HUMAN'S PARTICIPATION! Follow the news about our new project "Talk2phone". And it's not like Siri, or any equivalent. Представьте. Сидите вы за столом в компании друзей. Ведёте оживлённую беседу. А ваши телефоны время от времени вставляют свои пять копеек в разговор. Причём, фразы телефонов очень осмысленны! Вам уже любопытно? Представьте, с какими круглыми глазами на вас будут пялиться окружающие, если вы, скажем, находитесь в кафе! БОЛЕЕ ТОГО, ВАШИ ТЕЛЕФОНЫ МОГУТ НАЧАТЬ ОБЩАТЬСЯ ДРУГ С ДРУГОМ! БЕЗ ЧЕЛОВЕЧЕСКОГО УЧАСТИЯ! Следите за развитием нашего нового проекта "Talk2phone". И это совсем не похоже на Siri, или любой аналог. 5 + Super prog! I used to fall asleep for 2-3 hours, and now 5 minutes and I passed out! This is, though not the full version, but still effective! Didn't believe, but it really works!!! Super! I do not believe it, but I fall asleep! Thank you for such an application! Hypnotic program really works. Have experienced. This application helps you to sleep without pills and special training. The application also has built-in night light. The interface is available in 30 languages. This application is based on a real medications (which costs about $ 100). A medical device (ie, a prototype) sends a beam of light on the ceiling. Light becomes a brighter, then dimmer. With this pulsation user must synchronize his breath. Pulsation occurs every 5 seconds. Thus, breathing becomes deep (using yoga). With such a breath in your body stops production of cortisol (a stress hormone), and you will quickly fall asleep. When the glow is bright, it is necessary to inhale when the glow fades to do exhale. We decided that the phone has all of these features. Why do you need to buy unnecessary and expensive device? Functional (as compared to the prototype) has increased considerably. You can choose different colors of light, choose a specific time for automatic shutdown (full version only). Despite the fact that the pulsation is visible when the eyes are closed (in the room should be dark), however, we also added the sound of breathing that accompanies the pulse. The default pulse frequency is 5 seconds. This is the average for adults. But for the children, you can configure a more frequent pulse. Children breathe more often. When the glow is bright, it is necessary to inhale when the glow fades to exhale. 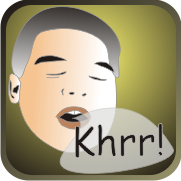 If you breathe more or less frequently, you can set a different frequency. 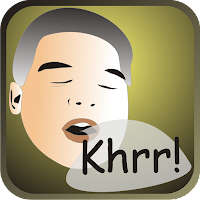 The application has a lot of options for different types of breathing. In the application, in addition, we have integrated nightlight. This is primarily for children who are afraid to sleep in the dark. Night light shines for a while, and then turned off (as configured). In the full version, you can choose the color of light, as well as the smooth transition of colors. It is beautiful. The glow is perfectly visible through the eyelids (in room should be dark). If you do not see the glow, then point the phone's screen on your face. You can also activate the soft sound of breathing, which will accompany the pulsation (full version only). First, the user, following the sound of inhalation and exhalation ceases to think of something. Second, the sound is mesmerizing, like a metronome. Scheduler for email: new free app. Is expected in a month. It will be the same as scheduler sms, but through email. First, the Internet is included in the tariff of a lot of users of mobile phones. Therefore, the e-mail messages will be free. Secondly, and most importantly, what is the minus of sending messages later in the evening, or, say, a Friday night? At night or over the weekend a lot of spam attacks email of your addressee. And your email may get lost in spam (if you send it at night). And your addressee can accidentally delete your email with spam in the morning. With our program you can create a message on Friday night, and assign shipment at 11.00 on Monday. When your addressee has already removed all of the spam. Well, it is for example. Third, so you can schedule an annual holiday greetings or reminders about some events. Fourth, it can be uncomfortable sending letters during night without to seem wacky in eyes of your business partners. Планировщик для электронной почты: новое бесплатное приложение. Ожидается через месяц. Это будет тот же самый планировщик смс, но через электронную почту. Во-первых, у многих пользователей интернет включен в тарифный план. Поэтому сообщения электронной почты будут бесплатны. Во-вторых, самое важное, какой минус отправлять сообщение поздно вечером или, скажем в пятницу вечером? Ночью или за выходные на почту вашего адресата нападает куча спама. И ваше письмо может затеряться среди спама. И ваш адресат может удалить случайно ваше письмо вместе со спамом, когда будет разгребать почту утром. С помощью нашей программы вы можете написать сообщение в пятницу вечером, и назначить отправку на 11.00 в понедельник. Когда ваш адресат уже удалит весь спам. Ну, это к примеру. В-третьих, таким образом можно назначить ежегодные поздравления с праздниками или напоминания о каких-то событиях. В-четвертых, вам может быть неудобно отправлять сообщение ночью, чтобы не выглядеть лунатиком перед деловыми партнёрами. 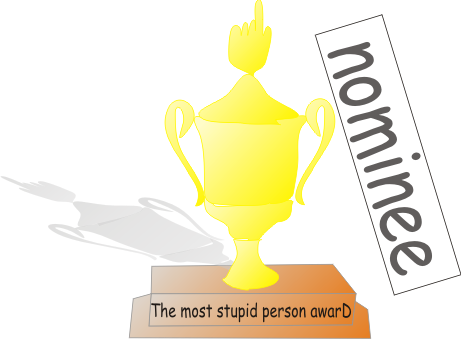 We found two errors in the application "Antisnore", of which users for some reason didn't write us. Although it is one of the most popular our applications. In the next week or two we will correct it and publish the update. 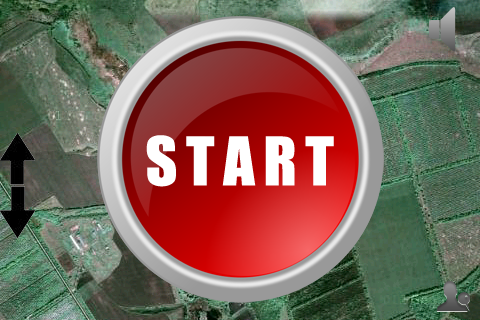 In addition, we will publish the video instructions - how to start. Мы нашли две ошибки в приложении "Анти храп", о которых нам почему-то пользователи не писали. Хотя это одно из самых популярных приложений. В ближайшую неделю-две мы их исправим, и выложим обновление. Кроме того, мы выложим видео инструкцию - как включать.